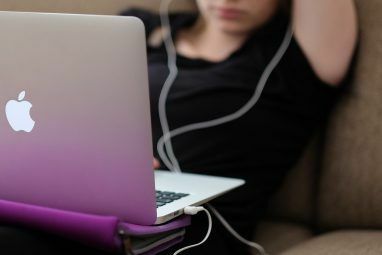 You have probably only dealt with a few audio formats during your life, but there are dozens The 10 Most Common Audio Formats: Which One Should You Use? The 10 Most Common Audio Formats: Which One Should You Use? You know about MP3, but what about AAC, FLAC, OGG, or WMA? Why do so many audio file formats exist? Here's a breakdown. Read More floating around. Most of them offer some trade-off between music quality and file size. During the rise of iTunes and other digital music, MP3 became popular due to its small file sizes. Indeed, if you still buy music online, it usually comes as an MP3. But what if you need to convert FLAC audio files to MP3? While FLAC offers better quality than MP3 How Audio Compression Works, and Can You Really Tell the Difference? How Audio Compression Works, and Can You Really Tell the Difference? In this article, we'll take a look at how music compression works, and whether it has any real effect on how your music actually sounds. Read More , it doesn’t enjoy its universal compatibility. So, without further ado, here’s how to convert FLAC to MP3 for free on any platform. Freemake Audio Converter is far from the only Windows tool The Mega Guide to Media File Conversion Tools in Windows The Mega Guide to Media File Conversion Tools in Windows Wondering how to best convert that media file? This is your guide out of the media file jungle. We compiled the most relevant media file conversion tools and show you how to use them. Read More for this job, but it performs admirably, making it our number one pick. Once you’ve installed it, click the blue + Audio button in the top-left corner to add tracks. You can select a single track for one-off conversion, or add an entire folder for converting en masse. Once you’ve added the tracks you want to convert to the list, you can use the buttons at the bottom of the screen to choose which file type you want to convert to. In this case, we’re interested in MP3. Once you click to MP3, you can change the output parameters. Choose from one of several presets, including Optimal Quality, or customize your own 5 Tips for Optimizing Audio File Sizes 5 Tips for Optimizing Audio File Sizes If you've ever wanted to reduce the size of an audio file but weren't sure how to do that without impacting the quality of the recording, here's everything you need to know. Read More . You can decide where the new file goes and whether you want to add it to iTunes as well. Conversion is quick, and the app does what it should without packing in a ton of bloat. It’s a solid pick for Windows users who want to convert FLAC to MP3. You can click the big musical note icon in the middle of the window to browse for files to convert, or drag and drop as many FLAC files as you wish onto the window. From there, you have a few options below for the conversion. You can convert to MP3 or a variety of other formats, and change the bitrate options for your desired MP3 quality. There’s really not much more to it than that. Audio conversion doesn’t need a ton of nonsense bogging it down, and FLAC to MP3 Mac lets you get the job done and then back on with your day without too much fuss. Like the other platforms, there are a bunch of media conversion tools for Linux The Most Useful Media Converter For Linux Just Got Better: Meet The New Handbrake The Most Useful Media Converter For Linux Just Got Better: Meet The New Handbrake The cross-platform Handbrake utility has gotten a significant update that makes it even better at converting videos between various codecs. Let's check out all of the exciting stuff in the newest Handbrake. Read More . One easy pick is SoundConverter, which features a basic user interface like the Windows and Mac choices above. Once installed, pop it open and you can click the Add File button to bring in FLAC files. Dragging and dropping works too, if you prefer. There’s also an Add Folder button — perfect for converting many files at once. Before you convert, click Preferences to change a few options. You can decide where the converted files go, adjust the naming scheme, and even delete the original file. Under Type of result? make sure to change Format to MP3 as the default is OGG. Beneath this, you can change the quality. Click Close when you’re done with the options, then Convert on the homepage. In the space a few seconds, the app converts your file from FLAC to MP3 and places it where you requested. And that’s all there is to it! CloudConvert is one of the handiest online file conversion tools. It’s slick, fast, and doesn’t shove any junk on you. Naturally, it works great for converting audio files, and lets you convert FLAC to MP3 online. Just drag and drop, or browse, for the FLAC files you want to convert. Once you’ve uploaded them, click the file extension drop-down box and select mp3. You can also click the wrench icon to trim the audio, change the bitrate, and more. Click Start Conversion and you’ll have the file converted and ready for download in moments. CloudConvert also lets you sign up for a free account to track your conversions. If you like, you can connect your cloud storage accounts like Dropbox and Google Drive Dropbox vs. Google Drive vs. OneDrive: Which Cloud Storage Is Best for You? Dropbox vs. Google Drive vs. OneDrive: Which Cloud Storage Is Best for You? Have you changed the way you think about cloud storage? The popular options of Dropbox, Google Drive, and OneDrive have been joined by others. We help you answer which cloud storage service should you use. Read More and automatically place converted files in them. For free users, CloudConvert allows 25 minutes of conversion time per day. 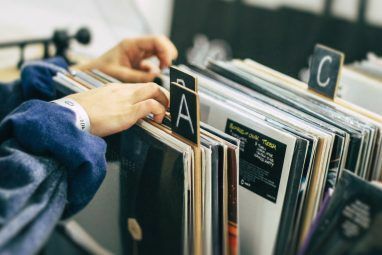 This makes it great for quick conversions, but you should look elsewhere if you need to convert your entire music collection. Another aptly named tool, Online Audio Converter features a basic set of controls for converting audio. Drop your files or browse for them on your device, then select an output format. The service features a slider for selecting quality, bitrate and sample rate settings, and even options for fading in and out. If you like, you can also edit the track data for display in your music player. Click Convert, download your files, and you’re all set! How Do You Convert FLAC to MP3? 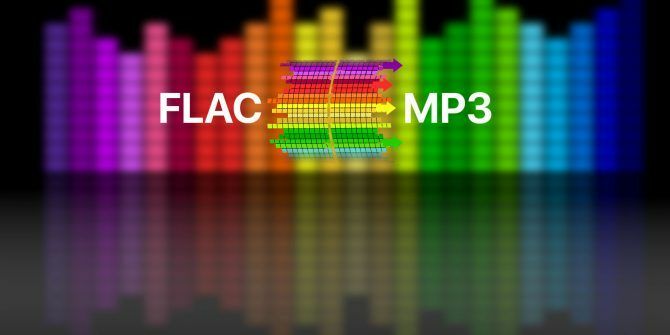 We’ve shared five easy tools for converting FLAC files to MP3 on any platform. If you only convert occasionally, the web tools should be more than enough to suit your needs. And free desktop tools make it easy to convert large amounts of files without having to upload anything to the web. Now you don’t have to worry about getting stuck with FLAC files you can’t use! And if you were wondering, learn more about how MP3 and MP4 are different What Is MP4? The Difference Between MP3 and MP4 What Is MP4? 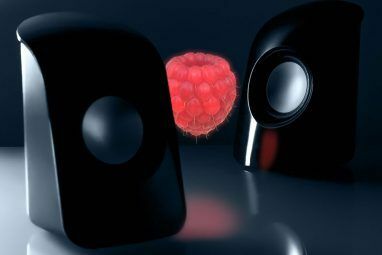 The Difference Between MP3 and MP4 MP3 and MP4 make up two of the most common media file formats today -- but despite the apparent similarity, the two couldn't be more different from each other. Here's our comparison breakdown. Read More . Do you often work with FLAC audio files? What’s your favorite conversion tool? Did it make our list or is there an alternative tool you would like to recommend to your fellow MakeUseOf readers? Please let us know if you found this article helpful in the comments below! SiriusXM Essential Means You No Longer Need a CarWhy Use a Linux Operating System Other Than Ubuntu? $29.95 for a flac to mp3 converter for Mac? Are you kidding? There are a lot of high quality free mac apps on the market that do the same and even more. Check for MediaHuman, XLD, ffmpeg. Thanks Ben, I had used Sound Converter on Linux before, but had forgotten all about the program. Now add, as I do a lot with Music on my box. I figured most people probably wouldn't need to convert files on-the-fly on their phones and could do that when they were at their home computers. If needed, though, CloudConvert will work from a mobile device. Format factory - and it does so much more!